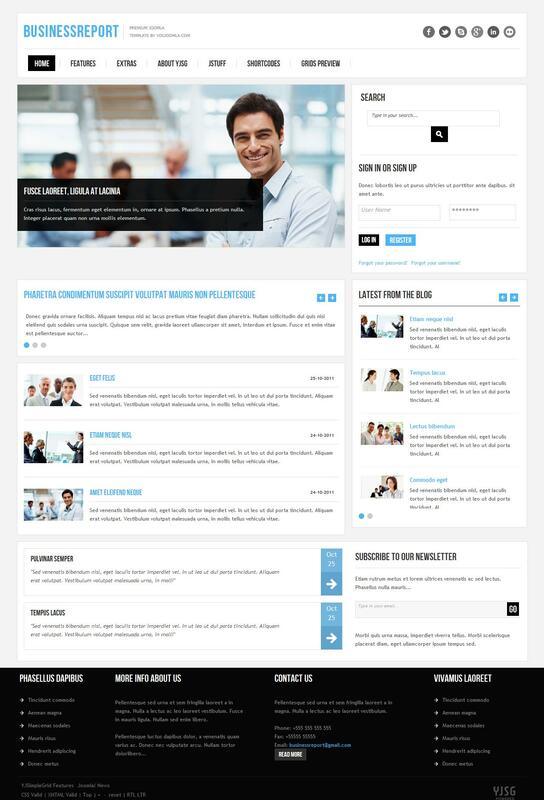 YJ Business Report - professional business template in bright colors from the popular design studio YouJoomla. Elegant design template includes 4 color schemes that are ideal for creating high-quality and modern website. Functional studio YjSimpleGrid Framework platform gives template adaptive functions, fast loading and good optimization in general. This template comes with many extensions club: YJ Live Search, YJ Image Slider, YJ Module Engine and YouYork Module Slider, which allow you to display content on the site in a convenient form. Native support for the news component K2 will provide new opportunities in publishing.